Premium speed boat. The 100% best price/quality ratio on Split boat mart. 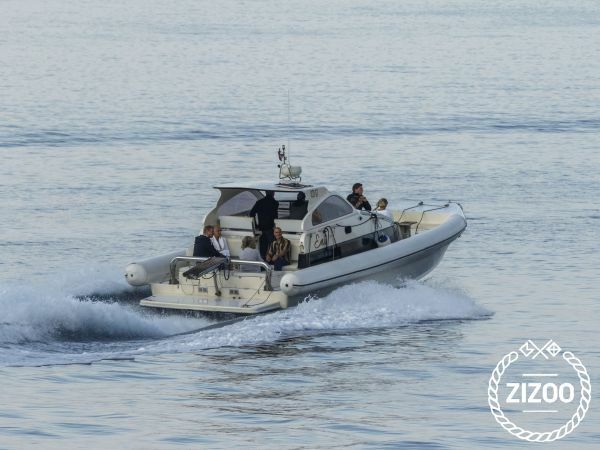 Proudly, boat Eni was official Vip boat for filming popular film Mamma Mia 2 on island Vis. Many Holywood stars like Andy Garcia, Pierce Brosnan, Amanda Seyfried, Colin Firth, Julie Walters, Christine Baranski, such as directors, producers and all other Vip persons on set were cruising by boat Eni. Check pictures in gallery. Fast-boat Eni successfully combines comfort and design with quality and modern technology in order to secure comfortable and safe travel. Eni is proudly one of the few fast boats in Croatia, which has been certified to drive on the sea force 8, storm wind speeds of 62-74 km / h. It weighs 8 tons and extremely resistant to high waves. A reliable partner with two Volvo engines designed not to leave you stranded at sea. During the excursion all equipment that the ship offers, like toilets, beds, kitchen, showers etc are at your disposal.